"Shad was very responsive and flexible with meeting times." "Shad has been very professional with the purchase of our house. He has also gone the extra mile to make sure we were comfortable with the whole process." "After wasting 3 months with a rival agent, having very few people to our open homes. We called shad who put together a superior advertising campaign which gave us great results and got the home sold in a difficult market. We recommend shad and his team for anyone thinking of selling their home." Shad and the team at Harcourts Rouse Hill have exceeded my expectations. Achieved a great result within a strict timeframe whilst remaining professional at all times! Highly recommended! "We have sold 2 homes in the last few years with Shad McMillan from Harcourts. he has on both occasions delivered outstanding service from an agent with credibility integrity and a want to achieve the best results for his clients and the right home for his buyers. We could not be happier with the service or the outstanding results." "Very Professional" Shad and his team were a pleasure to work with. Excellent service and prompt responses made it less stressful to buy a property. I would recommend Shad and his team to anyone looking for professionals to handle their buying or selling of property. “We are thrilled with the recent sale of our property with Harcourts Real Estate Rouse Hill. Shad, Loren and the team are truly the most friendly, professional, sensitive and composed agency team we could ever have chosen. Shad was always committed to represent our property with a point of difference. The marketing, open homes and consultation with us as vendors was first class. What a great office to deal with." "Finally, A Real Estate Agent I would recommend" What a pleasant experience it was dealing with Shad. I have sold many houses over the years and I would have to say I would give Shad 10 out of 10, which definitely hasn't been my experience before. My house was sold after one open house and we were very happy with his negotiating skills and the price we got. I would highly recommend Shad to any prospective sellers and would definitely use him again in the future. "Outstanding Service" We chose Harcourt's Rouse Hill and Shad McMillan based on results in the area and from personal observations of sales of homes in our immediate area. Shad's professionalism was apparent from the first phone call. He was attentive to our needs and helped us to create the perfect environment which allowed us to maximise the opportunity to sell our home. he was respectful, informed and also ran the open homes with courtesy and consideration to us but also to the visitors inspecting. We could not recommend Shad highly enough. “Shad McMillan's skills & knowledge in the sale of our properties" It is without doubt that Shad McMillan is one of the best Real Estate sales agents my wife and I have experienced. This is the second property that he has sold for us in the Hills district and again he has excelled & exceeded our own personal dollar figure we placed on our properties. At all times he has shown strong ethics and provided a realistic view of the market prior to and during the sale period. If we had more properties in the Hills we would not hesitate to use his marketing, sales and negotiation skills to obtain a strong sale for us. To this end we have no hesitation in recommending him and his agency in Rouse Hills to all our friends, family and business associates as the person to use to sell or buy their properties through. Excellent work Shad and a true professional. Awesome Agents! "Very informative through the whole process and professional. Was never pushy and helped the sale of the property run smoothly. If i was to sell a house again I would definitely be using Harcourts again!" 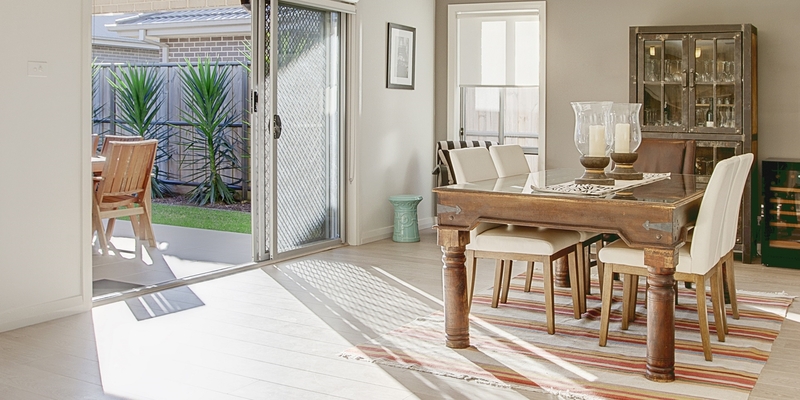 Harcourt's Real Estate Rouse Hill exceeded our expectations by far. Shad showed extreme dedication in finding a buyer for our house. We could not be happier with the quick sale of our home. Shad's professionalism, enthusiasm and knowledge was extremely helpful and we would not hesitate to recommend Shad's service to anyone. We even managed to have a few laughs along the way. Thank you so much. Shad is extremely professional, the service and support that him and his team provides is exceptional. Shad constantly went above and beyond and communicated regularly throughout the entire process. Our home was on the market 14 days and sold at the second open home. We are extremely happy with the results that Shad got for us and would highly recommend him to anyone!